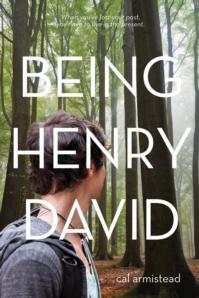 Cal Armistead‘s (Fiction, W’07) debut young adult novel, Being Henry David, will be released by Albert Whitman & Co. on March 1, 2013. Cal’s novel has already received a starred Kirkus review! For more, see www.calarmistead.com. Eric’s Hysterics is proud to present Love Hurts, an anthology edited by Eric M. Bosarge (Popular Fiction, W’12) that includes 21 humorous stories about falling in love, falling out, and everything in between. Featuring Stonecoast alumni Payne Ratner and faculty member Mike Kimball, the collection is sure to delight. The anthology will be available February 7th. For more information, visit the website. Julie Day‘s (Popular Fiction, S’12) “China Island” came out in the Winter 2013 edition of The Colored Lens (an eMagazine available on Amazon.com and, amazingly, free to Amazon Prime members). As always, you can find Julie on Facebook and on her blog. Tamie Marie Fields (Creative Nonfiction, S’12) had her first-ever publication in Cirque (page 87!). The essay is titled “Silvers.” She has an upcoming essay titled “Hook and Sway” in the March issue of Terrain. Friday, February 15 — Marquette, MI — Book World, 136 W. Washington Street — 3:00-8:00 p.m.
Saturday, February 16 — Iron Mountain, MI — Book World, 1104 S. Stephenson Highway — reading and Q&A from 12:00-1:00 p.m., signing to 5:00 p.m.
Sunday, February 17 — Escanaba, MI — Book World, 301 Lincoln Road, Suite 29 — 1:00-3:00 p.m.
Saturday, February 23 — Cable, WI — Redbery Books — 4:30-6:30 p.m.
Friday, March 1 — Rhinelander, WI — Book World, 58 Brown Street — 9:00 a.m.-1:00 p.m.
Saturday, March 2 — Minocqua, WI — Book World, 522 Oneida Street — 11:00 a.m.-2:00 p.m.
Sunday, March 3 — Eagle River, WI — Book World — 10:00 a.m.-2:00 p.m.
Mike Langworthy (Creative Nonfiction, W’11) continues to write his biweekly column for The Forecaster, a weekly newspaper covering the southern and central Maine coast. He is also executive producer and co-creator of Rock Island, a syndicated children’s television show in development, in association with a number of Portland-area nonprofits and media companies. He is also a consultant and story editor on Spun Out, a multi-camera situation comedy pilot for Canadian network CTV, starring Dave Foley (Newsradio, The Kids in the Hall) and shot in Toronto on January 18, 2013. Sandra McDonald (Popular Fiction, W’05) sold her short story “Fleet” to the speculative fiction anthology We See A Different Frontier. She also sold her ninth book, a thriller about gay veterans in Philadelphia. Ellen Meeropol (Fiction, W’06) has a short story titled “Her Flammable Sister” in the February 2013 issue of Dove Tales (Writing for Peace). Her essay with Rosellen Brown and Tracy Daugherty, “Balancing Craft & Commitment: Writing Political Fiction,” will be in the March/April 2013 issue of The Writers Chronicle. Rebecca Hotaling Nix‘s (Fiction, W’12) short story “Someplace Else” was published in ninepatch: A Creative Journal for Women and Gender Studies at Eastern Kentucky University and can be read here. Also, her screenplay “Exes” is being made into a movie; filming will being in April. (She was approached by a composer from Barcelona, Spain, who’s interested in writing the soundtrack.) She hopes to screen the movie during a future Stonecoast residency, maybe Winter or Summer 2014. 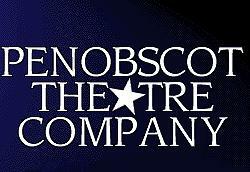 For updates, check out the Facebook page. Mihku Paul (Fiction, S’10) will read from her poetry collection, 20th Century PowWow Playland, on Friday, February 8th, at “Hear The Women” in the Nick Sapiel Building on Indian Island (Maine). The line-up includes Cheryl Savageau (an Abenaki poet) and Yvette Nolan (an Algonquin playwright). On Saturday, February 9th, Mihku will co-teach a writing workshop, “HERstory,” for Waponahki women. This event is co-sponsored by the Penobscot Nation and Gedakina, a non-profit organization dedicated to strengthening Waponahki communities through the preservation of cultural heritage. Lisa Romeo (Creative Nonfiction, S’08) has joined the faculty of The Writers Circle, teaching nonfiction and leading all-genre workshops at three locations in northern New Jersey. 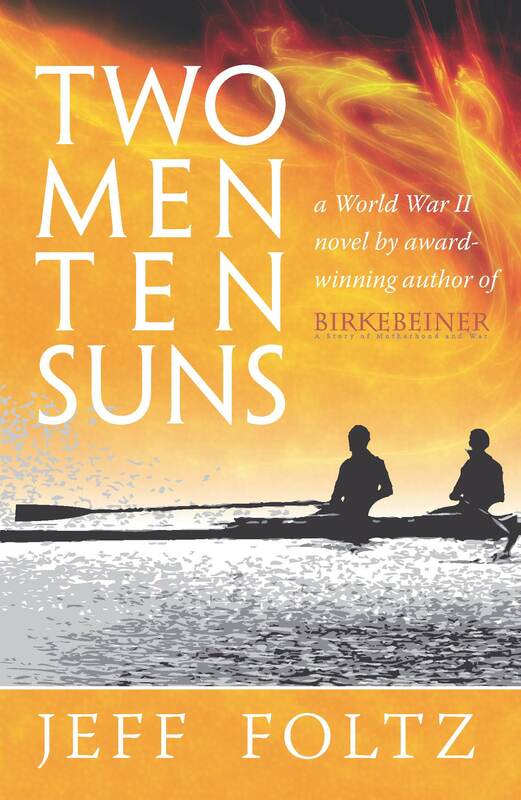 Her narrative essay, “Old Men Who Write,” will appear in Under the Sun‘s first online issue (Spring 2013). Lisa is also editing essays and short stories for the newly revived Brain, Child magazine, and was recently interviewed on WTBQ radio (Orange County, NY) on their Creative Vision program, offering tips for writers. Catherine Schmitt‘s (Creative Nonfiction, W’12) story, “The Snowy Owls of Acadia,” appears in the Winter issue of Friends of Acadia Journal. Co-editors Hannah Strom-Martin (Popular Fiction, W’09) and Erin Underwood (Popular Fiction, S’09) announce the publication of Futuredaze: An Anthology of YA Science Fiction from Underwords Press on February 12, 2013. 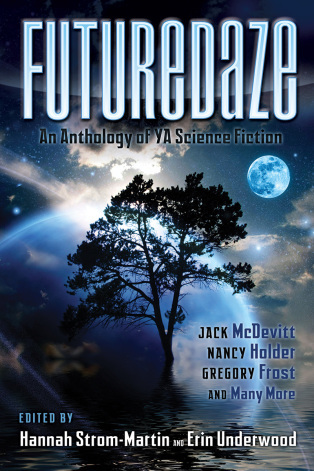 Futuredaze includes 33 original short science fiction stories and poems that spark the imagination, twist the heart, and make us yearn for the possibilities of a world yet to come. Contributing authors include faculty member Nancy Holder (Popular Fiction) and alumna Sandra McDonald (Popular Fiction, W’05). Futuredaze will be available in print and as an eBook, and it will be distributed in bookstores and online venues in the U.S., Canada, and Europe. Below is the book video that Underwoods Press created for the anthology. Robert E. Stutts‘s (Popular Fiction, S’10) short story “Hungry” (one of his Stonecoast stories) will appear on Daily Science Fiction the week of February 11th. Tamra Wilson (Fiction, S’11) took second place in the Charlotte Writers Club Creative Nonfiction competition with the essay “Wildflowers.” The same piece has been accepted for publication in ENO, a new journal of the Nicholas School of the Environment at Duke University. 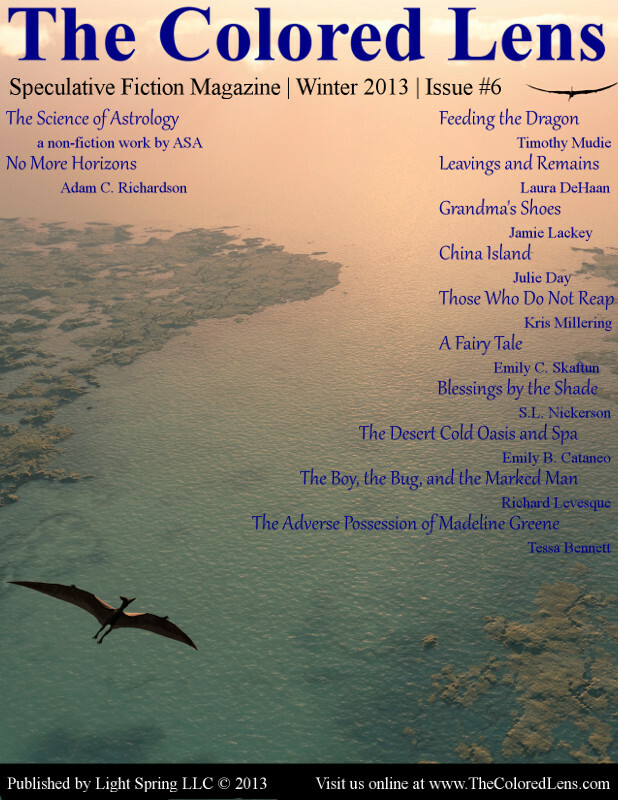 Linda Kobert‘s (Creative Nonfiction) travel essay “The Eye of God” appears in the latest print version—the India Issue—of the literary and arts journal Annalemma. The piece documents part of her Fall 2010 around-the-world voyage on Semester at Sea, during which she taught—what else?—writing. Bonnie Jo Stufflebeam‘s (Popular Fiction) short story “The Wanderers” will be published in the February 2013 issue of Clarkesworld. 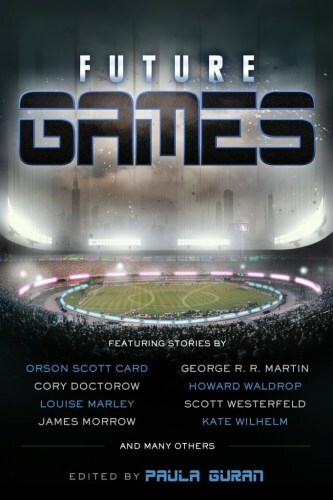 Genevieve Williams‘s (Popular Fiction) short story, “Kip, Running,” which originally appeared in Strange Horizons, is now available in the Future Games anthology from Prime Books, alongside stories by Cory Doctorow, James Morrow, George R.R. Martin, and Kate Wilhelm. All plays must be in standard playwriting form and bound with at least a binder clip. Include SASE for reply and, if you wish, postcard for acknowledgement of receipt.